There are various kinds of cards: some of them have the full meaning written on them, others have just a few words (where the reader requires a reference sheet in order to recognise the meaning); it depends on what the person in cause feels when he selects a pack. Angel card readings are different from the Tarot ones. Every guardian angel loves the human he protects unconditionally and helps him because he wants to, so the reason why these cards were created is the human’s need for finding out information from his guardian angel. There is a belief that says that a spirit can have several guardian angels and that angels can add themselves to a person during one or more lifetimes. Furthermore, a person also features other beings of light that help him, including shamans, gods and goddesses, fairies, or even relatives who have crossed over. Their mission is to help during a soul?s journey, so they are all seen as teachers and guides. They never judge and they accept us as we are. They are viewed as emotional healers. 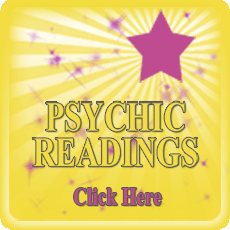 This variety of card reading creates a special connection between the reader’s energy or aura and the cards. The reader must get the cards close to his heart when he first bring them home, so that he gets attuned to the deck. The more they are used, the more they’ll turn out to be one with that individual. Just like the angel selects the human, the human picks the deck. The energy that the reader connects to the angel cards helps him to use them. If the cards have the meaning printed on them, then there is no requirement for more explanations. But there are also decks that have merely a part of the meaning shown on them, and they come with a booklet that offers the whole information. Angel card readings are the least understood kind. Plenty of people haven’t even heard of it, unfortunately. In order to interpret the message and relate it to his own life, the reader must trust his inner knowing. After a card is chosen, he has to keep hold of the first thought that comes to his mind after he reads the description, because the first thought is the truest before the left brain suggests otherwise. When a reader starts to learn the psychic discipline, he discovers that we can’t change things, but we can be aware of things to occur in the future. If a person desires to know the name of his angel, he might respond to that. 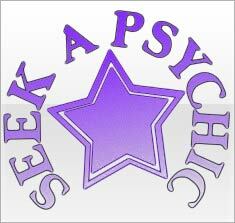 Angel card readings are available on the Internet or through the phone, just life the Psychic readings. Angel Card Readings are fun, but the reader mustn’t take things very seriously; everything he has to do is to remember the reading and be aware.